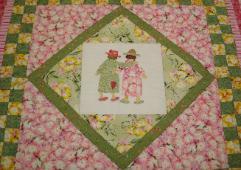 Front of Quilt was made from customers husbands dress shirts. 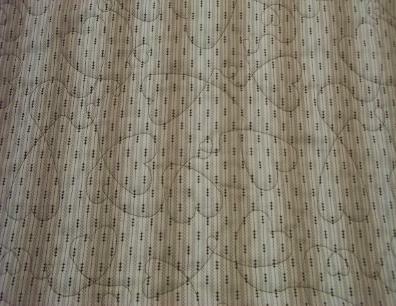 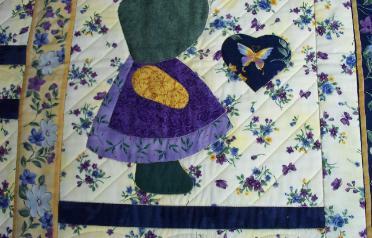 Used Overall Heart Pattern. 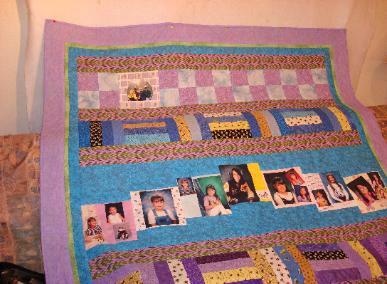 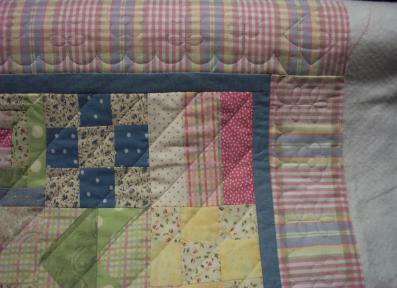 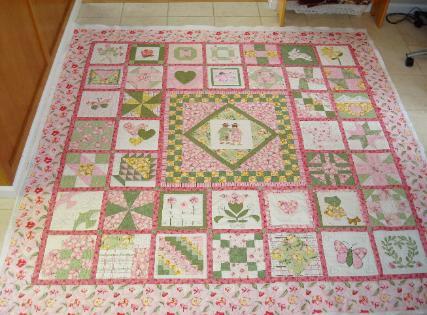 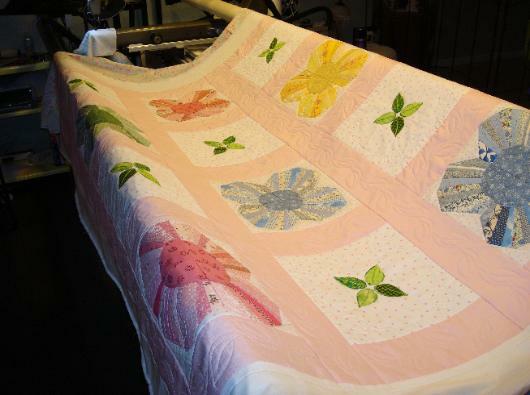 Quilt was given to her daughter who lost her father in 2007. 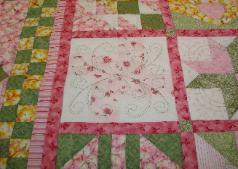 Cross Hatching & Stitch In The Ditch. 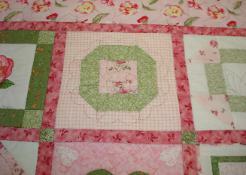 Complimentary Quilting for "Sew Many Quilts" in Tracy. 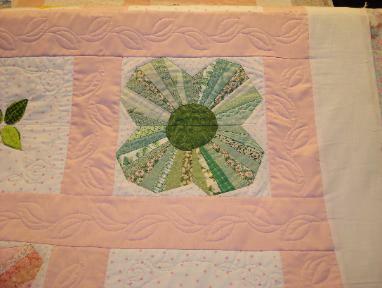 Cross hatching and flower border. 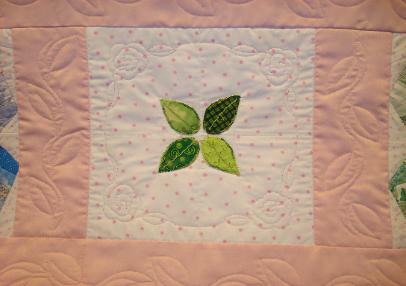 Vine leaf border, rose block and stitch in the ditch. 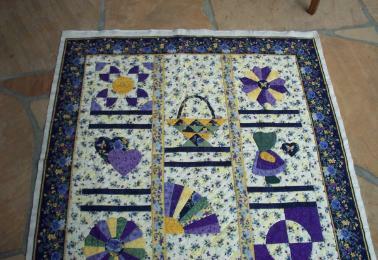 Loopy border in sashing. 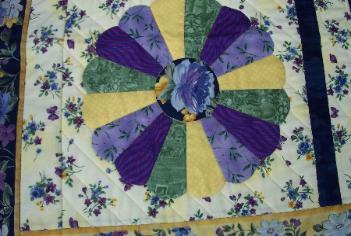 Stitch in the ditch around Dresden and Sashing. 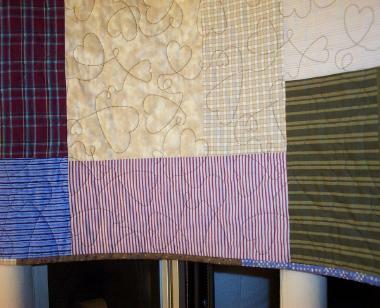 Used High Loft batting. 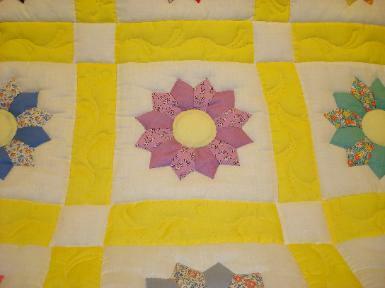 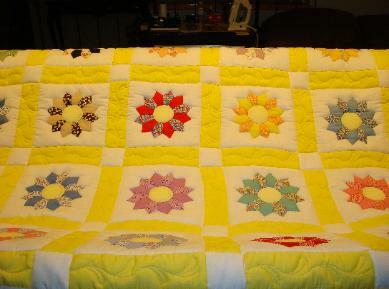 I donated my time to quilt this for the owner of "Sew Many Quilts"
November. 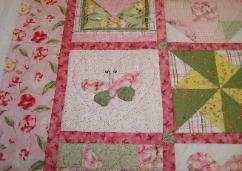 Most of the squares had a quilted heart in it.